We provide a unique range of Monel Fasteners, which is manufactured using premium grade of raw material like copper, brass, aluminum, phosphorus bronze, gun metal, lead, zinc, and more. These are acknowledged for wear & tear resistance, cost effectiveness, and long functional life. The Hex Head Bolts offered by us are at par with international quality standards . 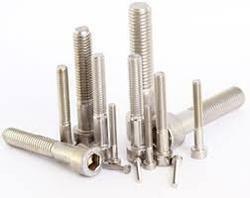 We provide a unique range of Monel Fasteners to our clients. We offer a wide range Monel Fasteners. 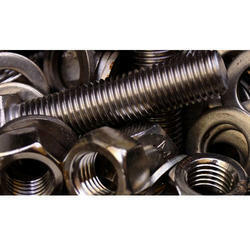 Our range of monel fasteners include bolts, screws, nuts and washers.